Top Universities, amazing nature, vibrant cities and several oceans are just some of the reasons why many international students choose Australia to study. Studying abroad may be slightly daunting but the reward in terms of education and personal development can also be huge. 1) Top quality Universities– International students have a wide variety of choice when it comes to studying in Australia. Australia is home to 43 Universities in total, with 40 Australian, two international and one private University. It’s a case of quality as well as quantity, with six Australian University ranking in the internationally renowned top e to step 100. 2) Cultural Diversity– Australia is a diverse melting pot of cultures. The sheer amount of cultures that abound offers the chance to stop outside of your usual comfort zone and experience something new, but also to feel a sense of belonging in the multicultural setting. Some of the benefits of living in a multicultural society include wonderful culinary offerings, public international celebrations and the chance to learn a different language. 3) Any major is welcome: Since Australia’s Universities are some of the top ranked in the world, it’s no surprise that they offer a multitude of different degrees and majors. Whether you are studying engineering or English, medicine or Mathematics, there are plenty of different options and combinations to choose from when you study in Australia. 4) Bridging the skill shortage gap: although, international students are required to have student visa in order to be a part of the country, the perks that come along with the visa are what make the destination unique out of all. Students can pursue work opportunities while they are working, which can help drive down the cost of already reasonably proceed experience. Opportunities like these can bolster learning and provide for an interesting way to experience a new culture altogether. The term world-class describes precisely the Australian higher education. An Australian degree will undoubtedly increase your employability in the future. Employers seek for well-educated and experienced employees out of who they can get out the best and improve their business. According to statistics, 71.8 % of Australian graduates have found a full time job, 3-4 months after their graduation. Regarding the same statistics, the average salary of graduates first full time job in 2018 was $60,000 higher than previous year. At the same time employers showed a higher satisfaction with these employers. Nothing is worthy if in the end it won’t pay off, not even the higher education. 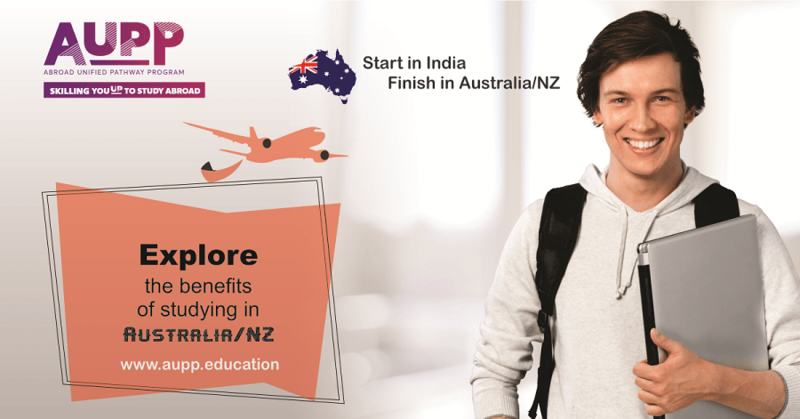 Abroad Unified Pathway Program (AUPP) provides a unique credit transfer program for IT and business courses, we provide first year of education in student’s home country and then assist the student with his/her completion in Australia . Apart from education support, we help the student in visa processing and IELTS preparation. So, what are you waiting for, realize your dream of an Australian education and join us!! Hey! Someone in my group shared this website with us so I came to check it out. be tweeting this to my followers!